To help answer this question we’ve provided this quick and easy guide for you to reference. The first step is identifying which styling of lighting you are wanting to achieve – Accent, Moderate, or Maximum. Then you can see how many lights you need based on the number of guests, the room dimensions, or square footage of the space. This is just a guide, meant to help you get an idea of how many you will need. Your needs may vary and you are free to order as many or as few as you feel necessary. 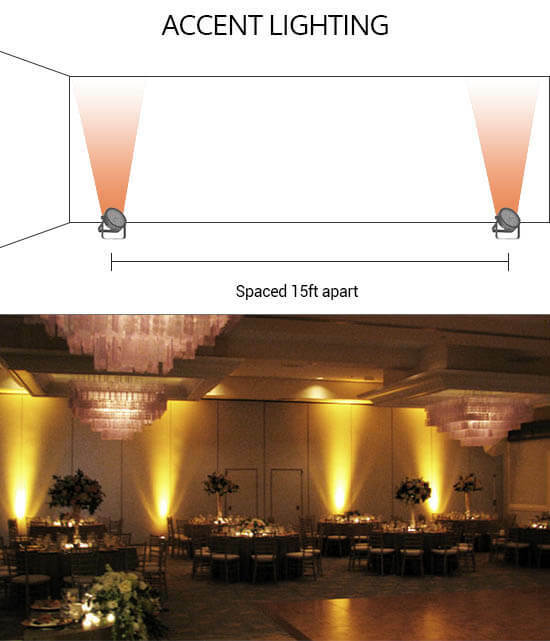 Minimal lighting highlighting the corners or architectural significant elements of the room. The simplest and most affordable option. Our most popular option. 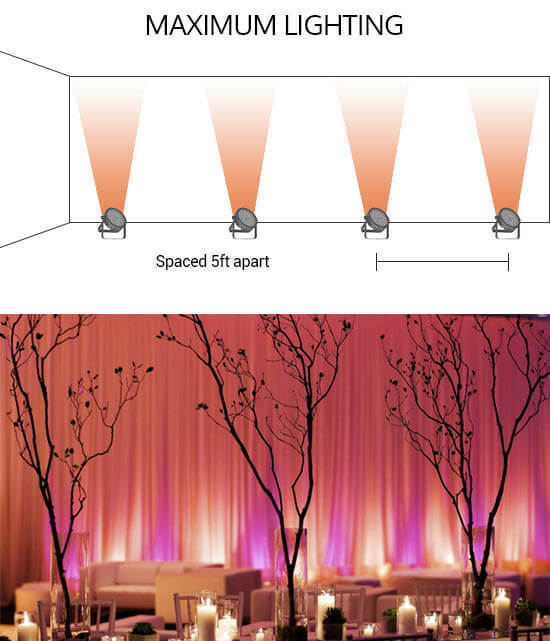 This provides equal coverage throughout the room, creating the perfect ambiance! Perfect if you really want to wash an entire room with light. This provides maximum coverage, with enough light to create two-tone or even three-tone lighting. 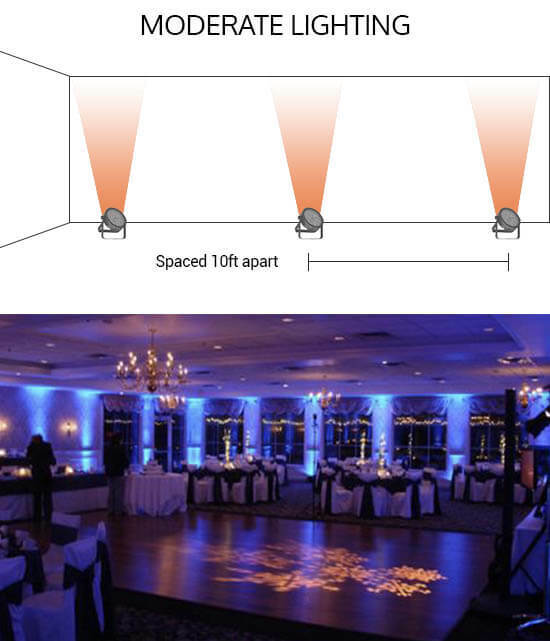 We offer 4 unique kinds of uplights to rent.